Trees and shrubs require the proper soil environment to function properly and thrive. Within urban areas, trees and plants lose much needed nutrients as our landscapes continue to change with the addition of roads, infrastructure and new structures. Biomass that is found on forest floors are absent in urban landscapes as leaves and other organic plant material are removed through the upkeep of a urban yard. If your soils are deficient of essential nutrients and micro-organisms, supplemental amending of your soils through fertilization and additional best practices will help your trees and shrubs obtain the essentials they need. Capitol Tree Care utilizes a specialized spray rig to fertilize trees and shrubs with a organic, liquid compost extract(LCE) solution, via a deep-root feeding method, administered directly to the critical root zones of your trees and shrubs. 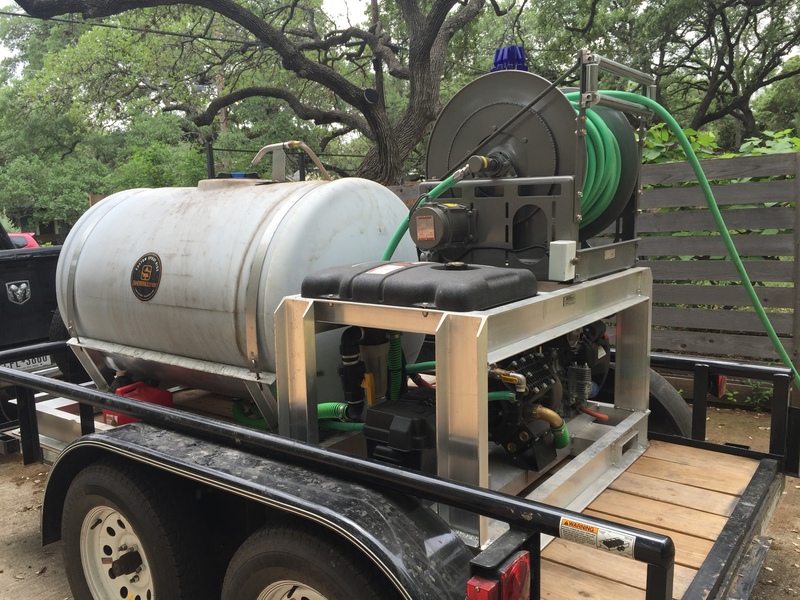 Our spray rig is custom built from a industry leading manufacturer of arboriculture equipment and is specifically designed to deliver liquid based soil amendments. Liquid Compost Extract is a high-grade, organic, highly fungal, liquid compost blend of living micro-organisms that will help create proper soil structure and a more productive soil ecosystem. LCE is created through an extraction process in which the beneficial biology in compost is dislodged and added into a solution of soil microbes, Mycorrhizae, humus and nutrients. The majority of these micro-organisms lie dormant and are woken up in response to plant root exudates at different times during the growing season. This is important as your trees and shrubs have available resources as they need them. LCE is produced by extracting the living biology from a organic, high-grade compost using an extractor. The extract is highly fungal, which is required when feeding trees and shrubs. Fungi assist in breaking down organic material, solubilize nutrients from parent rock and help build soil structure. Feeding your trees and shrubs organically is not only safe for people and pets, but it also leaches from soil at a slower rate compared to synthetic fertilizers. Capitol Tree Care amends soils with a LCE blend derived from a high-grade, 100% all natural, finished compost. supplied by a third party vendor that specializes in soil rehabilitation. Capitol Tree Care recommends amending soils using organic LCE over synthetic fertilizers to reduce the risk of leaching into our waterways and to build soil productivity with living biology instead of chemical based fertilizers. In order to best serve your trees, soil samples can be taken within the areas in question to properly identify the nutrient makeup of your soils. Samples are sent to a diagnostic lab to determine the condition and makeup of your soils, which are used to implement a proper fertilization program for your trees.